View documentation related to the Village 35 application process, now known as the Circus Liquors Redevelopment Plan, which has been submitted and/or replied to by the Township Committee and the Middletown Planning Board, the Township's governing body responsible for land development review and approval. The Middletown Planning Board pursuant to state law is responsible for preparing the Township’s Master Plan; reexamining the master plan and development regulations at least every 6 years; and reviewing site plans and subdivisions. In addition, they administer the provisions of the Township’s Site Plan and Subdivision ordinances in the review of application for land development in accordance with the provisions of the state Municipal Land. The Planning Department staff provides the Planning Board with development reviews and administrative support. Department personnel are also available to the public to explain specific applications, contact them, as well as oversee engineering and legal support. The records of all applications pending before the Board are located in the Planning Department’s active files. TOWN OFFICIALS TOLD US A REDEVELOPMENT DESIGNATION WOULD GIVE THEM GREATER CONTROL TO PROTECT MIDDLETOWN & ITS RESIDENTS QUALITY OF LIFE.... IT'S NOT HAPPENING. the Middletown Township Zoning Map. 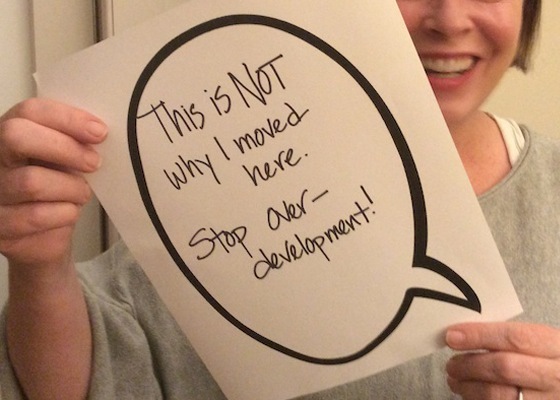 ​This 48-page Redevelopment Document does not improve zoning or change the zoning in significant ways for the greater good. This zoning is almost exactly the same or even less beneficial in some areas. CLICK TO VIEW THE 48 PAGE PLAN that the Township had online for Less than 24 hours! Sept 12, 2018. Municipal Complex Redevelopment Plan (amended). July 16, 2018. 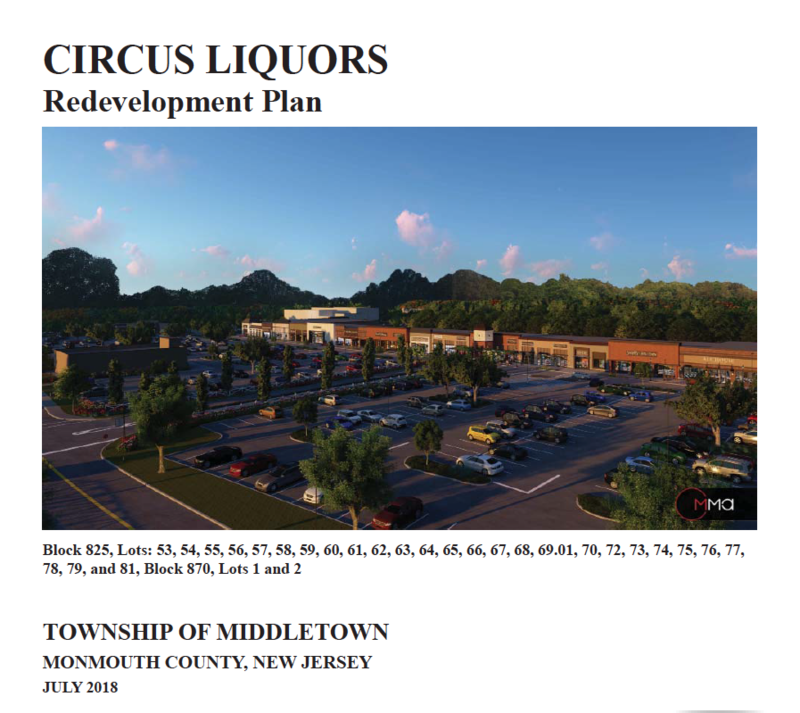 CIRCUS LIQUORS REDEVELOPMENT PLAN. July 16, 2018. Ordinance 2018-3232 Circus Liquors Redevelopment Plan. July 16, 2018. Township Committee Meeting Video. Introduction of the Circus Liquors Redevelopment Plan. Dec 06, 2017. Redevelopment Designation Planning Board Meeting Wrap-up. July 12, 2017. Planning Board Minutes. April 19, 2017. Planning Board Meeting Cancelled. NRDC is revising their plans and are not ready to present. March 15, 2017. Planning Board Meeting Cancelled. No reason given. Feb 15, 2017. Planning Board Minutes. NRDC states they will meet with Middletown residents. We've been told by a member of the community that they have contacted NRDC several times to arrange a meeting. NRDC has not replied. Feb 15, 2017. Planning Board Meeting Recap - The Board announced that Toll Bros.(residential) withdrew their application. 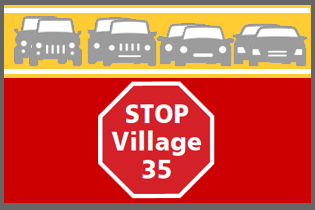 NRDC (commercial) was allowed to proceed by themselves as Village 35. The Toll Bros. lawyers were in attendance. THIS IS NO LONGER A COMBINED APPLICATION. Mr. Orrico the president of National Realty Development Corp (NRDC) spoke first and offered his vision/plan for V35, and the developer’s engineer gave an overall view of the project. Our Attorney Mr. Gasiorowski entered into record that is Mr. Orrico plans to lease a retail store that is larger than 45,000 sq ft he must go before the board again to get approval as a larger size violates the General Development Plan (GDP) agreement. The Planning Board pointed out that NRDC would be held responsible for maintaining anything they build on the residential portion of the 118 acres at this time. Including, but not limited to, the connector road and the drainage basins. View Video of the Feb 15th Meeting. Dec 7, 2016. Planning Board Meeting Recap - Both developers were unready. The Planning Board set aside future meeting dates just for the combined application, next one scheduled for Wed. Feb 15, 2017. Going forward each meeting will focus on a Topic (example: traffic, drainage, etc. ), proceeding as follows: Topic Developer 1 / Cross Examine by the Board then Public / Topic Developer 2 / Cross Examine by the Board then Public. View Video of the Dec 7th Meeting. Sept 07, 2016. Planning Board Minutes. - The Planning Board upheld its decision hear the application as one review. The Board demanded both the retail and residential developer reapply together and set a tentative date in December to allot time to prepare. June 15, 2016. Planning Board Minutes. - The Planning Board makes the decision to combine the application into one review. ​July 1, 2015. General Development Plan Approval - The Planning Board granted the site for a period of 20 years the right to develop with up to 400,000 square feet of commercial space, and up to 350 residential units, of which 70 will be affordable. Sept 1, 2017. Sixth Engineering Review. 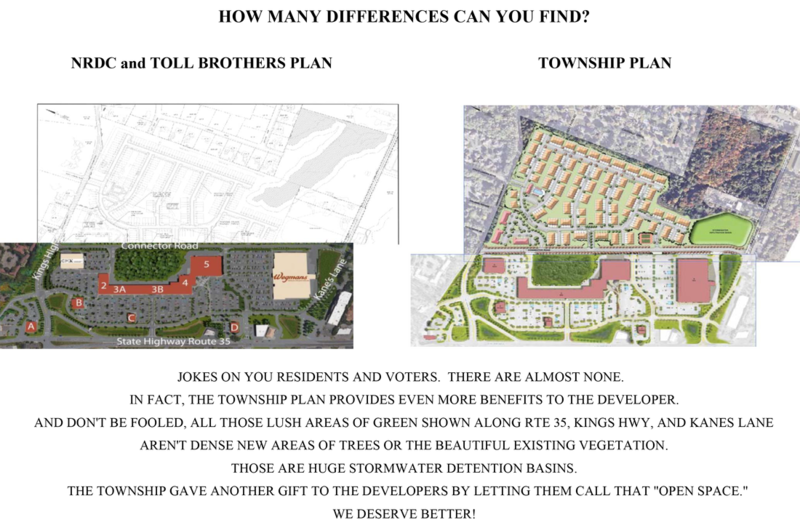 T and M to Middletown Planning Board - Review letter from the Township's engineering firm, T&M Associates, based on the revised plans of the commercial/retail Village 35 proposal. Aug 31, 2017. Middletown Planning Board Technical Review Letter of the Village 35 Proposal, submitted May 5, 2016 and revised on Aug 9, 2017 - Director of Planning, San Chavan's technical review of the commercial/retail Village 35 proposal. Many of the variances and waivers the developer is looking to get can be found here and in the T and M Engineering Review, above. Dec 02, 2016. Middletown Planning Board Third Technical Review Letter of the Village 35 Proposal, submitted Nov 16, 2016 - Director of Planning, San Chavan's technical review of the commercial/retail Village 35 proposal. Many of the variances and waivers the developer is looking to get can be found here and in the T and M Engineering Review, below. This letter was distributed in 3 parts: Part 1, Part 2, and Part 3. Dec 01, 2016. Third Engineering Review. T and M to Middletown Planning Board - Review letter from the Township's engineering firm, T&M Associates, with emphasis on traffic and engineering issues of the commercial/retail development plan, revised November 16, 2016. Many of the variances and waivers the developer is looking to get can be found here and in the Planning Board technical review, above. As of this review, the applicant has not submitted any plans for the residential portion of the development. Aug 26, 2016. Middletown Planing Board Technical Review Letter of the Village 35 Proposal, submitted July 25, 2016 - Director of Planning, San Chavan's technical review of the commercial/retail Village 35 proposal. Many of the variances and waivers the developer is looking to get can be found here and in the T and M Engineering Review, below. ​Aug 25, 2016. Engineering Review. T and M to Middletown Planning Board - Review letter from the Township's engineering firm, T&M Associates, with emphasis on traffic and engineering issues. Many of the variances and waivers the developer is looking to get can be found here and in the Planning Board technical review, above.